What is Shopostomysupplies’ Return Policy? If a package is refused at the time of delivery, the customer will be responsible for round trip shipping costs incurred by Shopostomysupplies.com. Once the package is back in the warehouse, we will issue a credit to the original form of payment after deducting any applicable return shipping charges and restocking fee. The return shipping charge will apply even if you were originally not charged any shipping due to a free shipping promotion. This policy does not apply to packages that appear to have been damaged during shipping. At Shopostomysupplies we believe in providing absolute customer satisfaction and pleasant shopping experience. Most of the items are processed for shipment through our system within a few minutes of placing the order. You can cancel your order before the product has been processed for shipment. Once the shipment is processed for departure, returns and refunds will be applicable according to Shopostomysupplies’s return policies. If you wish to cancel your order kindly contact our Customer Service department at 877-658-4739 / 203-616-2850 or email us. The refund on canceled orders will be credited back to the original method of payment used. Coupons or any special offer applied on the order will not be credited back. Shopostomysupplies reserves the right to cancel any order. The orders can’t be changed or modified once processed for shipment. What is Shopostomysupplies’ Auto-Reorder Service? All information contained within this site including but not limited to all images, graphics, writings, and other materials that appear within is the sole property of Shopostomysupplies, its subsidiaries, and affiliates, or their respective owners. This site and its contents are provided on an "As Is" basis by us. Prices and availability are subject to change without notice. At no time shall Shopostomysupplies be held liable for special, indirect, exemplary, consequential damages, or any damages whatsoever, including but not limited to loss of use, data, or profits, without regard to the form of any action, including but not limited to contract, negligence, or other tortuous actions, all arising out of or in connection with the use, copying, or display of the contents of this site. 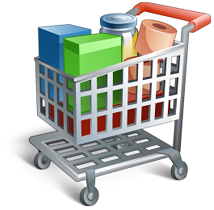 In an effort to provide our customers with the most current information, Shopostomysupplies will periodically make updates in the contents and in the products or services described in this site. Typographical or photographic errors are not the responsibility of Shopostomysupplies. The information provided on this website is provided for informational purposes only and should not be used to diagnose or treat a health problem or disease. Information provided at and by Shopostomysupplies is not a substitute for professional medical care. If you have a medical concern or suspect you have a health problem you should consult your primary doctor or specialist. We make no claim of ownership to the trademarks of any manufacturer whose products and/or information are presented by us, or for any publisher, publication or advertiser mentioned on Shopostomysupplies.com.